From Foothills to Fog: Jack Russell Brewing Co.
We had such a great weekend in Tahoe with friends. It was fun and relaxing at the same time. It was an easy drive up on Friday, we hardly hit any traffic. The boys, and Shannon, were up early on Saturday to board at Kirkwood, so the girls had a relaxing day at the cabin and did a little shopping. Saturday night, we all went out to dinner and then to a little bar, Sam's. I hadn't been there before, but it was the perfect local spot. We played pool and had a couple drinks before heading back to the cabin for a round of Apples to Apples. Sunday, I woke up early to walk down to the lake and take pictures for my photography homework. Then we made a huge breakfast before packing up to head home. Since it was still pretty early, we decided to extend our weekend by stopping at a brewery on the way back to the city. 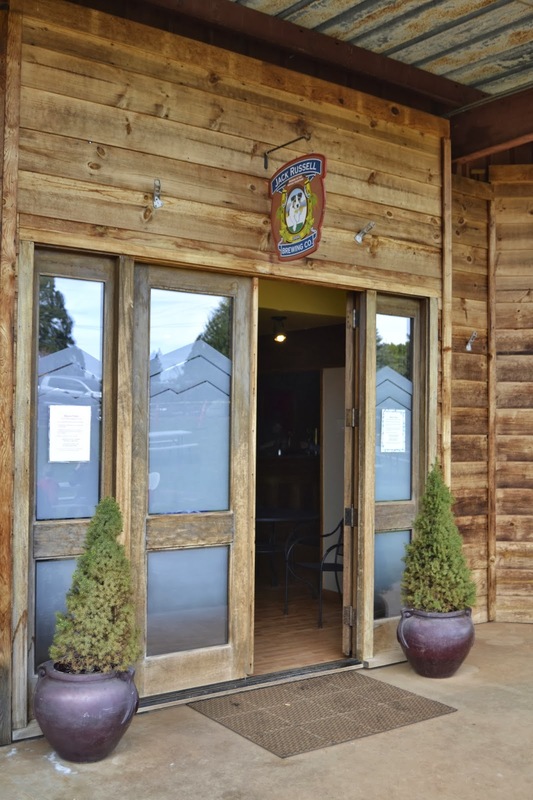 Corrie's mom had mentioned a little brewery near Placerville called Jack Russell Brewing Co. Since it was right on the way we decided, why not?! If you're wondering why my sunglasses are in all these pictures, my photography homework was to take 100+ pictures with a prop/object of my choice and use techniques we've learned throughout glass. Jack Russell Brewing Company was a cute little brewery off the beaten path. It was about 5 minutes off Highway 50 on country roads through apple orchards in the famous Apple Hill area. It was a really nice afternoon, so we were excited to see picnic tables outside when we drove up. There were quite a few people there, sitting outside enjoying snacks and beer. If we would have known, we probably would have stopped for picnic supplies. Inside they had a bar set up and a menu with their beer selection. They were out of hard cider, but still had six beers for us to try. We all decided to go with the beer sampler, so we could taste a variety. One of our favorites was the raspberry ale. It wasn't too sweet, and would be so refreshing on a hot summer afternoon. I also loved the pale ale and IPA. 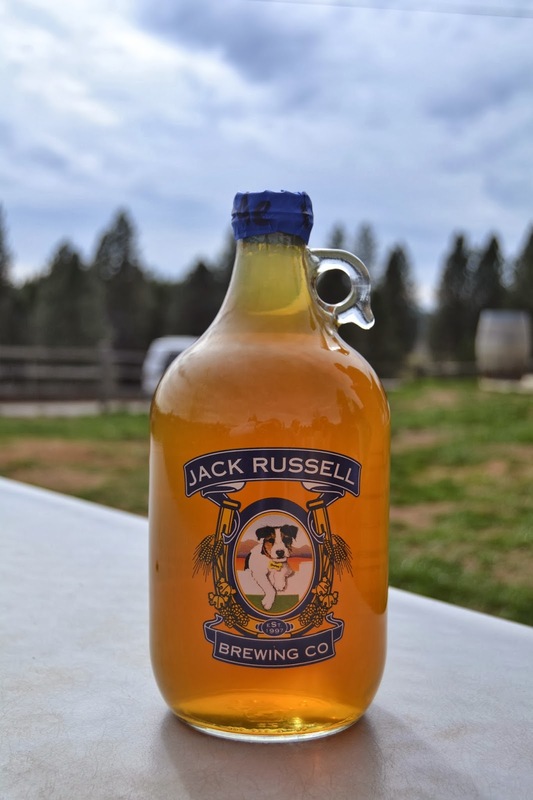 I'm sure that during summer months, and especially in the fall when the Apple Hill festivities are in full swing, Jack Russell Brewing would would be the place to be! 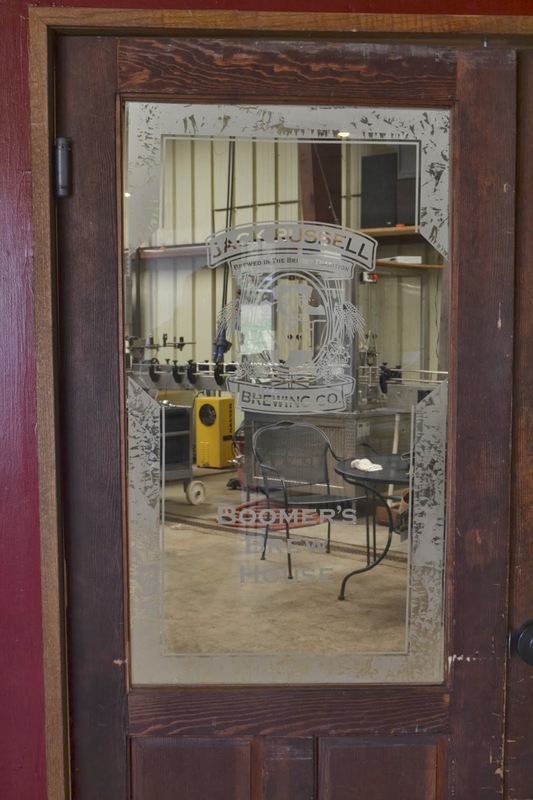 In addition to the bar inside, there was a pouring station outside for warmer months. They also had a big BBQ and smoker, and were set up for live music as well! I would be so fun to go back with a group during the summer and enjoy some beer, BBQ and live music. I was really glad we stopped. It was a perfect ending to our weekend, and I'm happy to know that there is such a fun brewery to stop at on summer trips to Tahoe. Being in the area reminded me that I want to make a point to go to Apple Hill this year. I haven't been in ages, but it would be so fun to organize a group of friends and go up one weekend this fall. Apple pie and cold beer? Sounds pretty good to me! 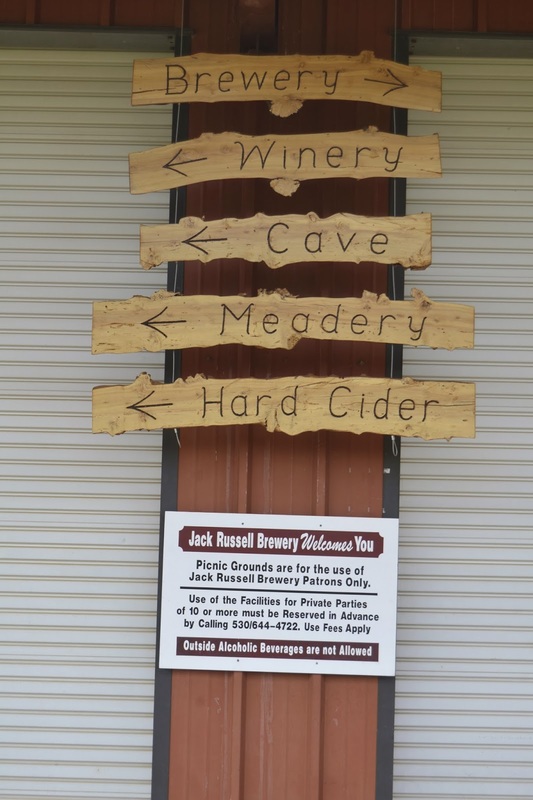 If you're in the area or planning a trip, I definitely recommend stopping at Jack Russell Brewing Co. Don't forget to bring a picnic! Super cute brewery! And great pics! I would love to stop there on a trip! I'll have to tell my Uncle about this place! He's always going past that way to his cabin. I would totally go but I always go to North Shore Tahoe, so I'd miss it. How fun! We're going to Lake Tahoe for our family vacation this year, so we're really excited. We've never been! If you have any recommendations on different things to do, let me know. We almost stopped there when we went to Apple Hill last fall. But Apple Hill was such a traffic jam we decided to skip it. Looks like a fun little place! i'm assuming it's dog friendly, which means my friends and I would LOVE this place!